Meets the highest requirements to safety and comfort. For Crossovers, SUVs and Pickup Trucks. Dimensioned for on-road and light off-road conditions. Good safety and handling performance. Compact, sturdily designed shoulder blocks increase lateral rigidity and enable the good transmission of lateral forces. Thanks to the outstanding handling, a high degree of safety is achieved. Better driving comfort. A large number of wave-shaped sipes, which follow the block structure, enable the blocks to roll in and out smoothly. 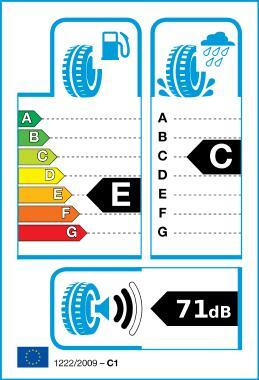 Driving comfort is improved as a result of the reduction in tyre noise. High mileage. The new silica compound with optimised tread pattern delivers low rolling resistance, optimised pressure distribution and low wear. This also increases tyre life.